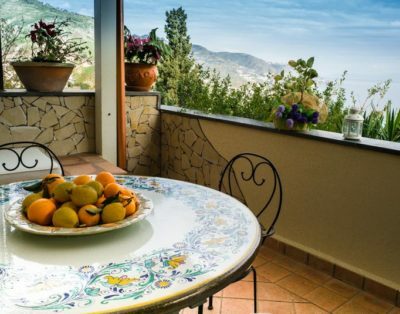 The Taormina Romantic Stay Apartment, elegant and sofisticated, has a breathtaking sea-view. The apartement has two bedrooms, one with a large bed and the other might arranged upon your desires (with double beds or a large bed). In the living room a sofa bed can accomodate 2 other person. 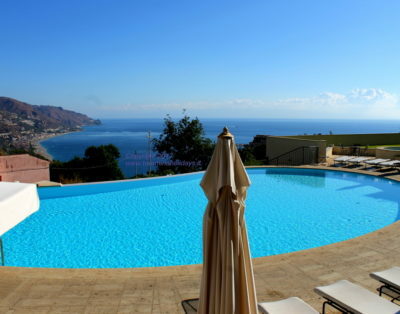 It also has two full equipped bathrooms and a beautiful terrace that faces the sea. You will be able to look at the marvellous sea not only by the terrace but from one of the two bedrooms and from the living room. sara’ possibile infatti, su richiesta, trovare un secondo letto matrimoniale oppure due letti singoli. Nel salone è presente un divano letto matrimoniale per ulteriori due posti letto. L’appartamento vanta anche di una terrazza arredata con vista mare. La meravigliosa vista, oltre che dalla terrazza, e’ ammirabile anche da una delle due camere da letto e dal salone.